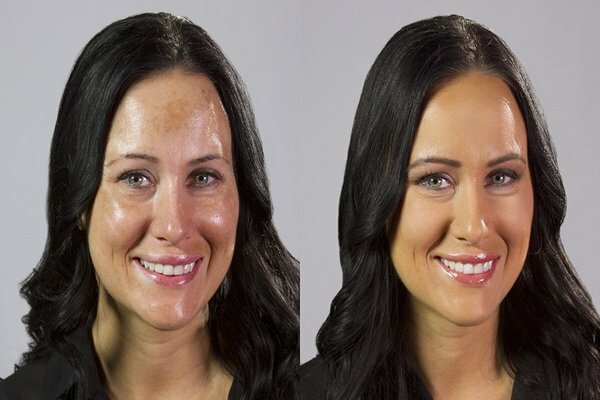 Airbrush makeup is a revolutionary makeup technique that helps to create a flawless and an even skin tone, which you cannot achieve with brushes and sponges. It gives a natural looking, illuminating skin with a velvety finish. In this technique, the makeup is applied using a gun that produces an even layer of foundation. The artist loads a diluted pigment into a spray gun that distributes the foundation particles over the skin. As the makeup is sprayed, it connects with the skin as millions of droplets of formula. This creates an even and sheer application that appears natural and non-heavy unlike the traditional makeup. The air brush makeup technique is extremely popular in film and theater. It was first used in 1959 in the film Ben Hur, to apply makeup to a large cast. 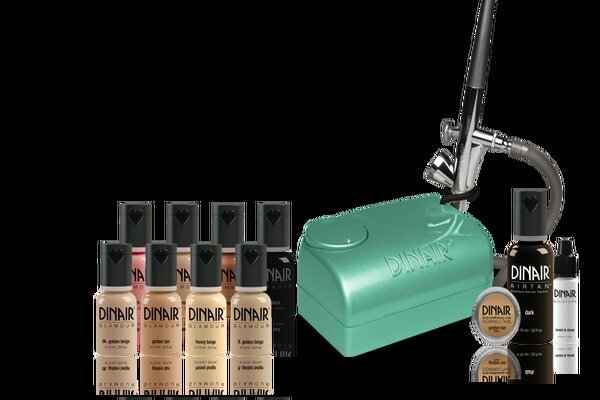 Airbrush makeup has now gained extreme popularity in the entertainment business with the advent of digital media, including high definition television, photography and video. Some systems designed for the personal use at home are also available. For home use, small systems that work at a lower pressure are designed. Although airbrushing is used mainly in television, films and photo shoots, the technique has now migrated to the wedding industry as well. In the airbrush makeup, the artist uses a circular and forward-back motion with an air gun for applying the foundation. The artist first mixes the foundation colors to get a perfect match for your skin tone. The machine is turned on and as the gun trigger is pulled, a light spray of makeup comes out of it in the form of mist. The fine mist of colors covers the skin, giving a flawless complexion. Both dual-action and single-action airbrushes can be used for airbrush makeup. The dual action airbrush allows the user to control the airflow by depressing the trigger with the index fiber and drawing it backwards. The more the trigger is depressed, the more makeup is released. The technique enables the artist to use the air as a guide before allowing the makeup to pass through the nozzle. The air is also used to dry the makeup after application. A single action airbrush is much easier to apply than dual action airbrush. The nozzle has to be changed between application to achieve different levels of coverage and details. The airbrush makeup technique works well with a PSI range 0 to 35. The compressors designed for personal use will not achieve an airflow greater than 15 PSI. A low PSI is ideal while airbrushing around the face and eyes. The full body application for covering the blemishes and tanning requires a faster airflow with a higher PSI. The makeup is sprayed from a distance of 6 to 12 inches. A combination of stencils and freehand techniques can help create intricate images with amazing color variations. They are used to do body art and temporary tattoos. The finely ground pigments dissipate in the water to create a smooth base. The water based formulas look quite thick and can even dry out the skin. The polymer water based formula is created by mixing water, polymers and pigment. The polymer when airbrushed, is absorbed by the skin, leaving a continuous coating. The formula uses alcohol instead of water, which assists with drying of the makeup on the skin. Alcohol based, also known as temporary airbrush links, are used for creating fake tattoos. The alcohol-based formula should never be used on the face. This airbrush makeup formula uses silicone so that the makeup lasts longer. The silicone based airbrush makeup can be thinned out using formula additives. Silicone based airbrush makeup gives a light and dewy finish to the skin. It is not ideal for heavy coverage. Airbrush makeup can be removed by using a 50/50 mix of isopropyl myristate and isopropyl alcohol. Gentle baby soap and a soap and water solution can also help remove the makeup. In a traditional makeup, a liquid, cream and pressed powder is applied with a brush, sponge and fingertips, while in airbrush technique, makeup is applied through an air gun. The traditional makeup comes in a wide variety, with every shade available. It is also versatile. You can use it just as a sheer tint, or can combine with other properties to create several makeup products. A traditional foundation is much more flexible than airbrush makeup. You can build the coverage or keep it sheer, as per your preference. Some cosmetic companies offer a silicone based formula, which makes the product more water resistant and look just like a second skin. Versatility and mobility are a concern in airbrush makeup. Airbrush makeup is ideal while shooting for a film, as durability is not an issue on the film sets and a makeup artist is ready for regular touch ups. The makeup is perfect for covering large portions of the body, or for doing body painting and tattoo cover. A traditional makeup is not waterproof. It can easily transfer to phones and clothes. You will require occasional touch ups for the makeup to last throughout the day. If applied incorrectly, you can get a sloppy and chalky finish. Products containing SPF can make the face look white in the pictures. Airbrush makeup is waterproof. It will not melt until you remove it with a makeup remover. The makeup does transfer to the clothes and looks amazing in the photograph. A traditional foundation is opaque and provides a rich coverage. The product requires hand blending so you can fill the books of the skin without any issue. The finish is largely dependent on your skin and makeup artist and not the machine. Airbrush makeup, on the other hand is much thinner than the traditional foundation. It comes out as a spray and mimics the way the camera sees the face. Traditional makeup like foundation and powder can settle into fine lines and can clog the pores, which can be easily visible on the HD film. Airbrush makeup is never heavy and provides an unbelievable coverage. It lies on the top of the skin and conceals the flaws, instead of accentuating them. The makeup conceals the open pores so that the skin does not look shiny or oily. The makeup looks extremely natural and gives the feeling that you are not wearing the makeup at all. It can be used on the arms, legs, chest and entire body to give an even skin tone. The makeup is also hypoallergenic, so women with sensitive skin can use it without any worries. Airbrush makeup lasts much longer than traditional makeup. It can easily stay for 12 to 24 hours. It can stand sweat, tears, hugs and the kisses in between. It can hold even in extremely humid conditions. In case of light perspiration, do not wipe off the makeup. Just blot it lightly. This will help the makeup to last 16 hours. Airbrush makeup technique is much more hygienic than traditional makeup. The artist does not require touching the skin for makeup application. The makeup can be done faster if done by a trained artist. However, special effects can be created only by free hand. Airbrush makeup is much safer than traditional makeup. Besides being hygienic, the foundation sits only on the outermost surface of the skin, instead of being pressed down into the pores. This allows the skin to breath, so that the makeup feels light and natural, thereby minimizing the chances of skin reactions. The makeup used in the airbrushing technique dries the skin instantly, giving you a matte finish. Therefore, you do not have to worry about the shiny nose or chin any more. The spray dot pattern put down by the airbrush technique registers less on the camera that the patterns left behind by brushes and sponges. These patterns can be quite noticeable when shown in High-Definition came or a high-resolution digital photo. You get an even and smooth base with airbrush makeup technique. Airbrush makeup cannot conceal major skin imperfections like acne, fine lines, wrinkles and dry skin as it is too thin in consistency. You can use airbrush makeup as a fine finish on top of a traditional foundation. Airbrush makeup technique is extremely expensive. You need to get hold of proper equipment and products to go ahead with this technique. The technique requires a lot of practice to achieve a flawless application. You need to practice several times to know how much product to release and at what pressure. There are also chances that some product can get into the eyes, which can cause serious problems. You cannot carry around the equipment for touch ups. Conventional and mineral makeup is much easier to carry.